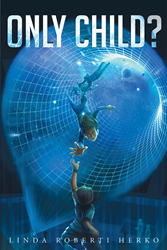 Linda Roberti Herko’s new book “Only Child?” is an out of this world experience that is sure to captivate any reader! Recent release “Only Child?” from Page Publishing author Linda Roberti Herko is a fascinating and riveting science fiction tale full of plot twists and turns as Ryan and his family use technology to alleviate the grief of losing a family member. Linda Roberti Herko, a passionate and accomplished author, has completed her new book “Only Child?”: a gripping and potent story allowing the reader to join Ryan in his adventures where technology and imagination demonstrate how truly wondrous the mind can be under the worst circumstances. A New York native, Linda Roberti Herko earned her M.B.A. from Pace University and a permanent NYS Teaching Certificate. She has held varying positions in both the private and public sectors and has enjoyed serving as a part-time facilitator in both areas. Her creative talents were demonstrated early in life through dance and choreography and now through writing. She is currently writing her second novel, is a member of the Society of Children’s Book Writers & Illustrators, the American Legion Auxiliary, and a part-time volunteer at Gilda’s Club Westchester. Published by New York City-based Page Publishing, Linda Roberti Herko’s exhilarating tale that follows Ryan on a journey to fill the void of losing his brother. Ryan saw himself as an only child after his brother was killed. What was he to do without the brother he idolized? Ryan’s dad was devastated by the loss of his son. What was he to do? Matt knew he was different but how could he escape from cyber-space? Ryan’s mom found some comfort in teaching after her son was killed, so why is she agreeing to have a virtual subject as a son? These questions are answered after Ryan’s dad builds a quantum prismoid to create human-like virtual children, one of which was like the son he lost. Ryan names this subject Matt and they bond immediately. Now Matt wants to live with Ryan, and his dad comes up with an escape plan. On the day of the escape, Boy #5, the cyber cops, and the virtual children protect Matt from the outside agents trying to stop his escape. Just before Matt transfers to earth, two holograms jump on him and they all end up in Ryan’s dad’s lab. The family’s celebration is interrupted when rogue outside agents kidnap Boy #5. Matt has to go back to cyber-space to rescue him. With the help of the holograms, Boy #5 is rescued and Matt finally gets to live with Ryan. Life is good until Ryan says something so hurtful that Matt runs back into cyber-space and falls into a black hole that drops him into a parallel universe. And if it’s true that people who live there are doubles of those on earth, then why is Ryan’s brother there? Readers who wish to experience this mesmerizing work can purchase“Only Child?” at bookstores everywhere, or online at the Apple iTunes store, Amazon, Google Play or Barnes and Noble. Linda Roberti Herko loves to hear from her readers and can be reached by emailing her at lindaherko@msn.com.